When it comes to deck coatings, don’t accept second best! Elastomeric deck coatings or elastomeric paint do not suffice. It might be cheaper now, but you will be exposing yourself to many more troubles in the long run. At Prestige Deck Coating, specialize in replacing old and worn elastomeric deck coatings, and providing a much more sturdy and long lasting solution. 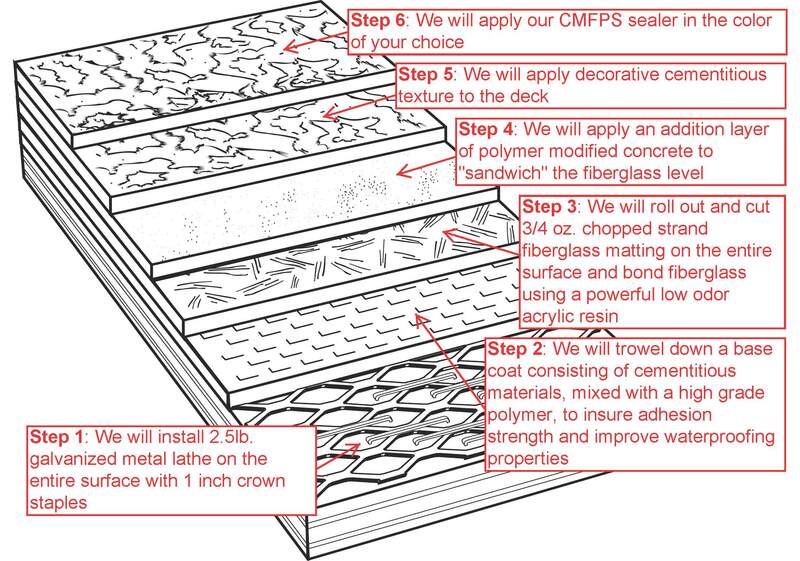 Our deck waterproofing systems are fantastic! We recently traveled to a job in San Clemente where we had a nightmare on our hands! The deck had a fiberglass coating with a elastomeric type painted over the fiberglass. 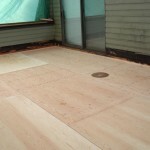 We recommended cleaning the surface and then installing our Crete Decking System over the existing material. This kind of hodge podge set up is a recipe for disaster. 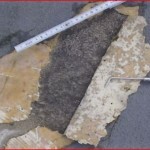 A shoddy set like this can produce leaking and dry rot. This can affect the structure. Bad news. Our solution was simple, but effective. 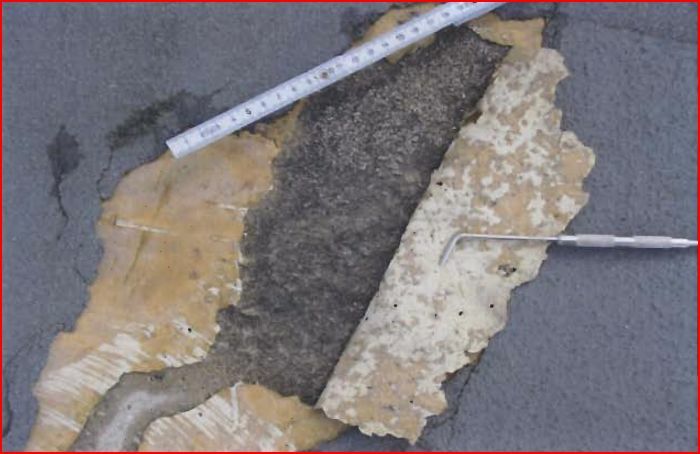 1) Remove the existing elastomeric deck coatings paint and fiberglass down to the plywood, to check for damage. 2) After assessing that the plywood sub-floor and flashing was not damaged, with no need for deck repair, we proceeded to apply our deck coating system. 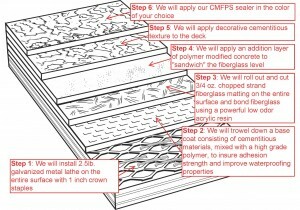 This 5 layer waterproofing membrane is designed for use over plywood surfaces. With Prestige Deck Coating, you are free from the nightmare of old elastomeric deck coatings. If you live in San Clemente or anywhere else in the Orange County, Riverside County, Los Angeles County, or North San Diego County, we can help. We value three things, quality products, expert installation, and personalized customer care. We use one of the most specialized systems and top notch industry products. 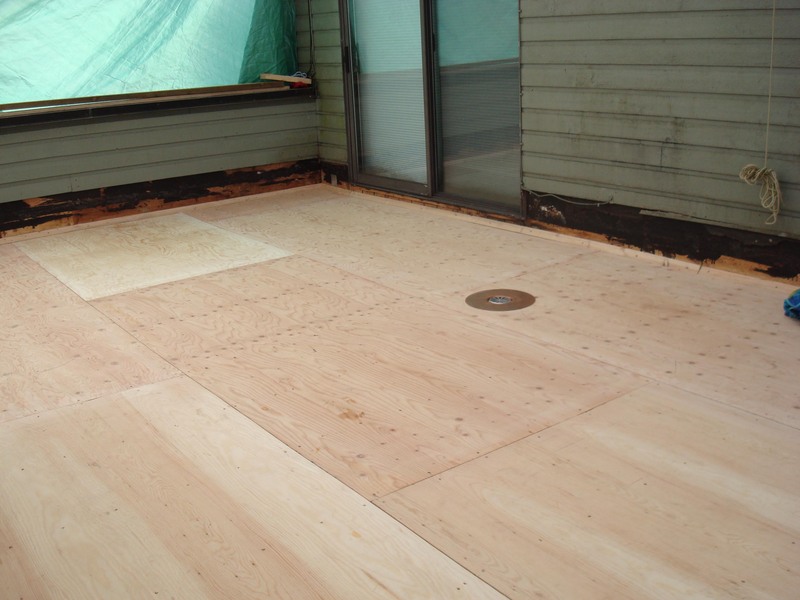 Our foremen have 30-40 years experience in the deck repair industry. We will work with your specific needs and desires to achieve your dream deck! We offer free estimates and a 10 year warranty! Watch our deck coatings skills in action!